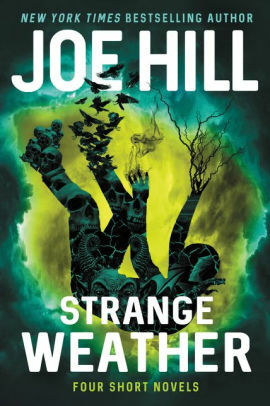 This is the fourth book that I’ve read by Joe Hill, and with this NOS4A2 and The Fireman, I feel comfortable saying that he is well on his way to becoming a favorite author. (The Heart-Shaped Box was also excellent but a little too scary until it fizzled out.) However, unlike, NOS4A2 and The Fireman, which were doorstoppers of more than 600 pages, this book is a collection of four novellas. All of them are pretty good, definitely hard to put down. Jenny reviewed this collection a few months ago, so you can read her review to get a sense of what they’re like. I’d rank the four novellas pretty much the same way she did: Loaded, about the horror of U.S. gun culture; Snapshot, about a memory-wiping camera; Rain, about a literal rainstorm of skin-piercing crystal needles; and Aloft, about a boy’s adventure on a cloud. Snapshot and Rain are about equal in my mind, partly because I read Rain during an actual rainstorm — so lots of ambiance! 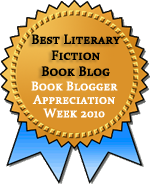 The thing that all four novellas have in common is that it is very hard to predict what’s going to happen next, even as the characters generally behave in ways that are utterly predictable, or that at least make sense in context. They are generous, cruel, brave, and violent in just the ways real people are. But, with the exception of Loaded, they are put in unimaginable situations. What would you do if the sky rained needles, if you were stuck on a solid cloud, if you found a camera that erased people? In contrast, Loaded, while depicting a realistic situation, incorporates just enough chance in its storyline to keep the outcome from being obvious. However, it also walks a fine line on whether its characters are types or full-on caricatures. I think it mostly stays on the right side of the line, but it’s close at times. Overall, though, what these novellas have going for them is their sheer creativity at putting characters in situations they couldn’t possibly have planned for and then seeing what happens. Even the weakest story, Aloft, which feels weird for the sake of weird, is impossible to turn away from. It’s toward the end that it gets silly, whereas the other stories finish strong. Anyway, if you haven’t read any Joe Hill, and you like good horror thrillers, you should give him a try. I’m looking forward to seeing what he does next and hoping he keeps up the great story-telling. I really liked Heart Shaped Box and love novellas, so this sounds perfect!